﻿ Installation of all type of Sheet Metal & HVAC Systems | Movin' Air Heating & Air Conditioning Ltd.
We install commercial industrial institutional residential Heating & Air Conditioning systems. Movin’ Air Heating & Air Conditioning installs all types of commercial & residential sheet metal & HVAC systems. 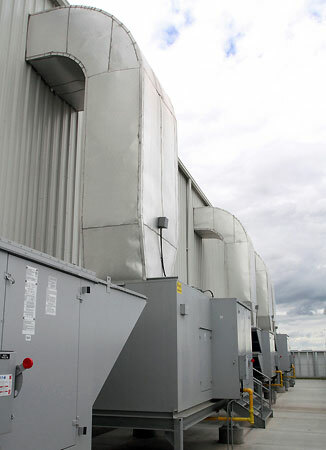 Sheet Metal is fabricated into spiral pipe, rectangular duct, oval duct and many other HVAC related products and HVAC systems are designed to specifications that meet or exceed the needs of our clients. At Movin' Air, we take a proactive approach to installation. Our integrated services allow precision coordination between our designers, fabricators and field personnel. We work with manufacturers which fabricate ducts and fittings designed to last, conserve energy and meet performance goals. 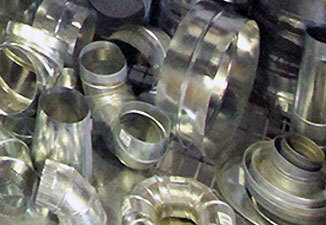 Our ductwork and spiral pipe systems are used for heating, cooling, exhaust and dust collection solutions. Then, when required, we find the right heating & cooling products to exceed customer's expecations. The Movin’ Air team has extensive experience in prefabrication which facilitates efficient air duct, piping and equipment installation in the field. We have a history of delivering high quality, fast moving, turnkey HVAC projects to our customers. Our expert team of installers and field technicians ensure that your system is operating at peak performance when we complete the system turnover. Customer care is driven by our “customer first” philosophy. Our site foremen understand what contractors need from HVAC installers. They are empowered to work with the builder’s site supervisors to resolve small problems before they become big ones. We get it right the first time. 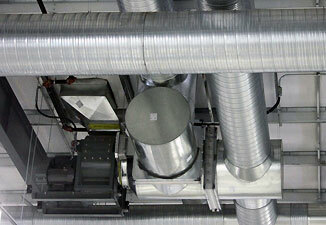 We pay attention-to-detail regarding the installation of all ductwork and systems. Poorly designed or installed ductwork systems can account for up to 30 percent of heating and cooling costs. That translates into thousands of dollars lost. Poorly installed duct systems can contaminate indoor air with mold, dust and toxins that pose serious health hazards. We will never add hidden or “surprise” charges. Any change-orders are discussed and quoted accordingly. Otherwise, the initial quote will be our final price. We are fully licensed, fully insured, and fully committed to completing all projects within your budget and schedule. Whether you need design or installation services, Movin’ Air will complete your installation project on time and on budget.